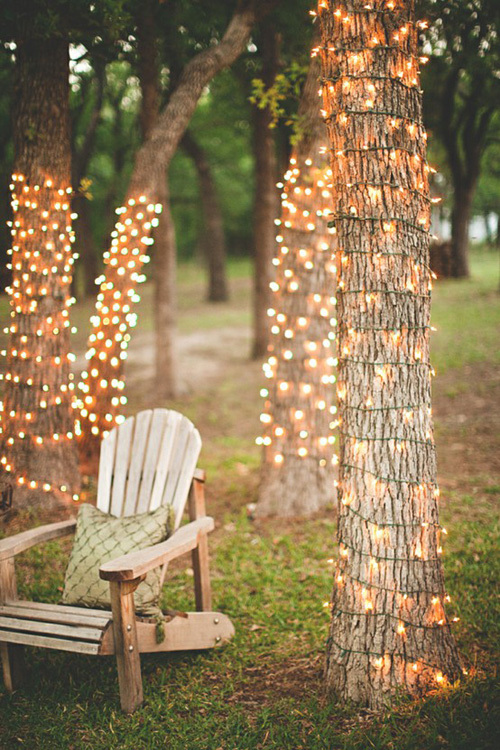 Today I’m loving … these lights wrapped around trees. This fairy tale like setting is part of a Southern Mexican wedding location. I am loving this…so perfect for a wedding! Love it! So romantic and a real summer atmosphere! It’s the next best thing to fireflies. I’d like to buy this image to feature in my website. Could you let me know where can I buy it? background light adds SO much to a photo! These are always fun to see in weddings, whether they are wrapped around a tree, outlining a structure, or creating a curtain of lights! They match SO many decoration options!